STYLISHLY PRESENTED THROUGHOUT! HOME ESTATE AGENTS are delighted to offer for sale this stylish,and much improved two bedroom second floor apartment. 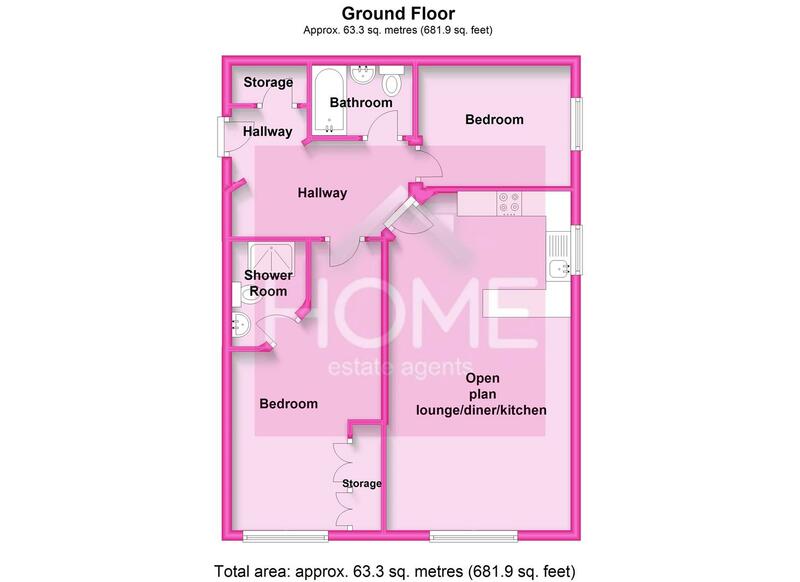 Accommodation comprises of hallway with built in storage, open plan lounge/diner/kitchen, two bedrooms, master bedroom with en-suite and fitted bathroom suite. The property offers double glazing and newly installed, energy efficient electric heaters. Having been recently re-decorated and re-carpeted, coupled with being southerly facing, the property now offers a bright and light living space! Externally the property boasts private, gated parking and communal gardens. Excellently positioned for access to Monton with its array of local bars restaurants and shops the property would make an ideal first time buy or investment property! Call HOME on 01617898383 to view! Open plan lounge, diner and modern fitted kitchen. Partially tiled flooring, electric heater, two double glazed windows to the side and front and ceiling spotlights. Fitted with wall and base units, roll edge worktop, sink unit, extractor fan, built in appliances including fridge freezer, dishwasher, washing machine, dishwasher and electric freestanding oven and hob. Fitted with a three piece shower room suite comprising from low level W/C, pedestal wash hand basin and shower cubicle. Tiled to complement, extractor fan and electric blow heater. Fitted with a three piece bathroom suite comprising from low level W/C, pedestal wash hand basin and panelled bath. Tiled to complement, extractor fan and electric blow heater.